Reddit.com, the world’s 6th most visited website, just received a makeover. Reddit’s old layout was boxy and frankly unpleasant, but provided high data density. And that was part of the charm—in an interview with Marketplace Tech, Reddit CEO Steve Huffman referred to his site as a “dystopian Craigslist.” Millions loved the layout—when confronted with the new layout’s beta, most devoted Reddit users reacted with hostility and anger. Many of the aesthetics popularized by Facebook have been incorporated into Reddit’s new design. When scrolling through Reddit’s content, the user has three different viewing options. 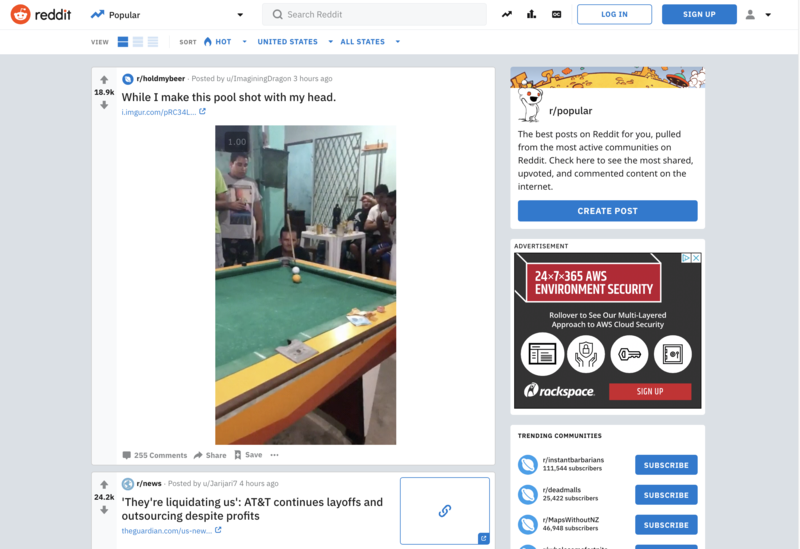 They can view the content with the “classic” layout, the design most similar to Reddit’s old layout, with the addition of larger fonts, more muted colors, and a subscription bar on the left third of the screen. The other two options are “compact”, a more densely packed version of the classic layout, and the default “card” layout. One benefit of this redesign, at least for Reddit, is that the new feed style allows for the seamless integration of ads into one’s stream. Before, ads would stick out like a sore thumb, but now they are seamlessly integrated. For users, this is not an exciting feature, but for Reddit, it makes monetization even easier. Reddit user /u/broomcar posted, “I understand you need money to keep Reddit going, but please don't break up the posts with ads that look completely identical to the posts.” With auto-playing videos and ads rolling out soon, Reddit will be generating even more revenue, while alienating more and more dedicated users. This uproar against Reddit’s redesign is not unusual - most companies do face a degree of backlash when rolling out big interface changes. Reddit users complain that Reddit is losing its identity. Despite these critiques, Reddit had its reasons for this update. Its new layout is easily recognizable, reminding new users of sites they already know and love. Before the layout, users who first visited the site were greeted with a UI best described as boxy, 90’s-HTML, and unfamiliar. Now, users are greeted with a familiar site with no onboarding barriers. With a more accessible website comes more new users, each absorbing more content and, with the new layout, looking at more ads. Although Reddit’s new design may estrange long time users, it will commercially reap dividends for Reddit through both monetization and new user onboarding.